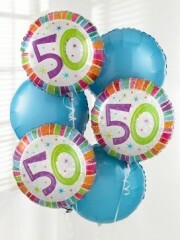 Balloon bouquets are a fantastic way to show any sentiment, be it “I love you”, “Happy Birthday” or “Get well soon”. Peterhead Flowers are delighted to be able to offer you a variety of different balloon bouquets perfect for any occasion. Our excellent flower delivery service means that your balloon bouquet can be delivered to you quickly and efficiently, as we do offer a same day delivery service on all orders placed before 3pm. The balloon bouquets which Peterhead florists are able to offer you are crafted with expertise and skill, and so are bound to bring joy to the recipient. 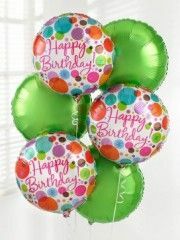 Balloons are always a joyful gift, so look no further than Flowers Peterhead for the perfect balloon bouquet. Peterhead flower delivery service provides a fantastic delivery service in Peterhead and the North East of Scotland, so your balloon bouquet can be safely delivered to you. 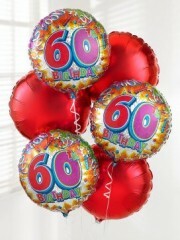 However, if you wish to send your balloon bouquet further afield, Flowers Peterhead can also cater to your needs. As part of the Interflora brand we can offer flower delivery service of your balloon bouquet to a huge range of locations across the United Kingdom. If you wish for your special balloon bouquet to be delivered abroad, your order placed in Peterhead can be delivered internationally, as we offer flower delivery service in 140 different countries across the world. Distance is never an issue here with the florists in Peterhead, as we believe that the feelings behind your balloon bouquet should be conveyed even if it is to a far off location. 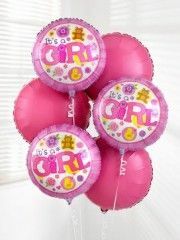 Our expert team here at Flowers Peterhead will carefully oversee your order through the process until it is safely delivered, so you can rest assured that your balloon bouquet is in safe hands. Choose Peterhead Flowers for a fantastic balloon bouquet today. Balloons are here to bring happiness and cheer for any occasion. 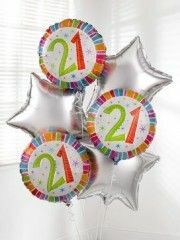 Whether it be a birthday or special achievement, Peterhead florists can provide you with a great balloon bouquet. 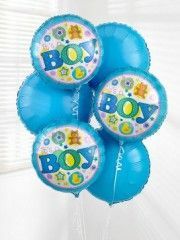 Our wide range of balloon bouquets allow you to express any sentiment you might be feeling. Here at Flowers Peterhead we recognise that balloons are used to convey important messages, which is why we treat your order with the utmost care to make sure that it truly satisfies you. 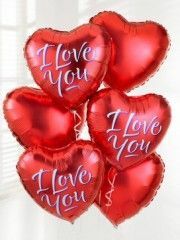 Amongst our range we can offer you a romantic “I love you” balloon bouquet, which is composed of three red balloons with “I love you” written on them and three plain red balloons, all in a heart shape. This is a perfect gesture to convey how much you appreciate that special someone in your life. 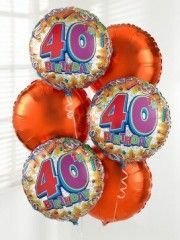 Peterhead Flowers also offers a range of birthday balloons for different ages, such as a 21st or 40th birthday, as well as classic “Happy Birthday” balloons, perfect for any birthday. 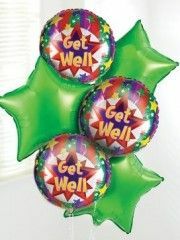 The “Get Well soon” balloon bouquet is perfect to bring some joy for someone who has been under the weather. 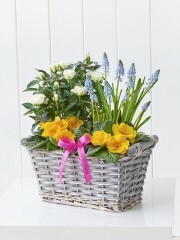 Here at Peterhead Flowers we believe in bringing smiles to people’s faces, especially when they need it most. 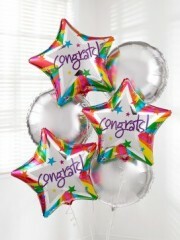 The “Congratulations” balloon bouquet is a bright choice to help congratulate someone who has done especially well. For a colourful and cheerful balloon bouquet, choose Peterhead Flowers to provide you with excellent customer service and a reliable flower delivery service. 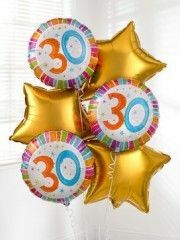 For any special occasion, purchase a balloon bouquet from Flowers Peterhead.